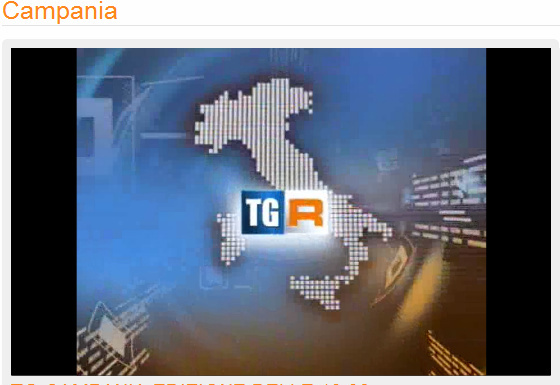 RAI 3 CAMPANIA: You can watch regional news here, every day live at 14:00 pm and at about 19:32 pm. There is also a late night news edition, but this varies - click here for the daily program. If you miss an edition, no problem click on this site on the right-hand side for this day's news broadcasts recorded here. Telecolore is the local news broadcasting company of the province of Salerno. At 19:00 pm you can listen (on most days) to local news, as well as on 22:00 pm. On this website you can also view videos on various local topics. Telecapri: a news portal with links to live streaming: you can watch videos here and read the latest news on Capri.